Brandon Michael Worring, 26, of Jerome, Idaho was born July 16, 1992 in Idaho Falls, Idaho and left this home September 2, 2018, in Twin Falls, Idaho. Brandon left us all too soon but the mark that he left in our lives will always be with us. 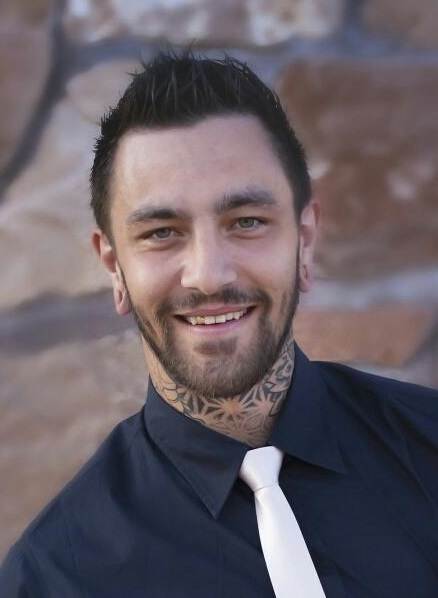 Brandon graduated from Jerome High School in 2010, shortly after he moved to St. George, Utah where he met Brittney Warren with whom he had two beautiful daughters, Olivia Joy and Chloe LuAnn. Brandon faced many obstacles and trials in life but none of which he let get him down. He enjoyed fishing, camping, riding motorcycles, anything with a motor and could go fast, the outdoors, water of any kind, and he loved being around his daughters, whom he talked about regularly. We know that Brandon was greeted with arms wide open from family members that went before him and without a doubt we know that he is getting quite the homecoming. Brandon is survived by his father, Tony J. Worring (Bridgette L. Campbell) of Jerome; mother, Katie Melissa Depner of Idaho Falls; his two beautiful daughters, Olivia Joy and Chloe LuAnn of St. George, UT; grandparents, Mike and Barbara Depner of Billings, MT; sisters, Myranda R. (Randy) Depner and Jessenia C. Montes of Billings, MT; brothers, Austin J. Worring of Boise, ID; Anthony M. Campbell and Derek A. Montes of Twin Falls, ID and Manuel "Chewy" Montes of Roseburg, OR; uncle, Shawn Goodwin of Pocatello, ID; aunt, Susan (Acel) Lake-Thornton of Idaho and many other cousins and extended family. Brandon was preceded in death by his grandparents, Joy Plaza Worring, Alfred Joseph Worring, and Randy Maxwell Goodwin; and cousin, Jennifer Joy Lake. Funeral services will be held at 1:00 pm, Saturday, September 8, 2018 at Farnsworth Mortuary, 1343 S Lincoln Ave, Jerome, with a viewing beginning at 11:00 am. Graveside services will conclude at Jerome Cemetery. Memories and condolences may be shared with the family on Brandon’s memorial webpage at www.farnsworthmortuary.com.